Equal parts craft and engineering, see premium paper being made at Mohawk’s historic Waterford, New York mill. Paper Making at Mohawk | Instructional from Mohawk on Vimeo. If you are considering “going greener,” reduce your environmental footprint with Rolland EnviroPrint papers. They are made with 100% Post Consumer Waste, and the manufacturing process is powered by Biogas Energy. Biogas comes from decomposing landfill waste that’s been captured to prevent its release into the air. It is transported by pipeline to Rolland and used as thermal energy to produce paper instead of using traditional combustible fuels. 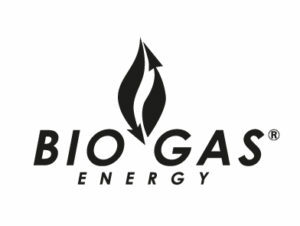 Not only is biogas a renewable energy, it reduces their CO2 emissions by 70,000 tons, or 23,400 compact cars, annually. BOND is proud to offer the Rolland EnviroPrint line of papers. The Dieline Awards recognizes the absolute best in consumer product packaging design around the globe, and brings awareness to the immense value that lies in well-designed brand packaging. The largest global packaging design competition is now in it’s 9th year. Read the case study from EFI. Abstract: The Art of Design is a Netflix original documentary series highlighting artists in the field of design. The series was created by former Wired editor-in-chief Scott Dadich. Step inside the minds of the most innovative designers in a variety of disciplines and learn how design impacts every aspect of life. From Architecture to Typography, it will become one of your go-to series this year. Check out the show’s official page on Netflix to learn more or watch some trailers. Email has long since been considered as a marketing medium that provides maximum reach for minimal investment and has served as an essential element of many a marketing campaign across any and all industries. However Direct mail, whilst having been subject to somewhat of a falling out of favor over the past few years is beginning to see a resurgence, and is proving to be particularly popular for those who are harnessing this medium in new and re-thought ways. These two mediums are widely different. Offering contrasting benefits and being suited to sometimes completely different audiences, industries or particular campaigns. So the question then is how you choose between them for your marketing needs, and, when all’s said and done, who comes out as king of the marketing mediums: Direct mail or Email? Email is seriously cheap and although you should spend time in carefully crafting your copy (and feature it within a sales focused email design) it still makes for a great form of marketing with one of the best ROIs out there. Not only can your message be delivered immediately, you also benefit from results that are fully analyzable through email campaign management software (perfect for honing future campaigns). Data feedback can include bounce, open and click through rates, to name but a few. Unfortunately the email marketing landscape has been made pretty bleak in recent years owing to a tidal wave of spam that consumers are, quite simply, sick of. This makes it more difficult for the email marketer as they do battle with inbox authenticity and receivers who are increasingly short on time. Gone are the days of buying cheap contact lists and expecting the world. Today you must build email lists through incentives, pre-approved permission and direct sign ups. Today such tasks take time and effort. Email features plenty of limitations upon the creativity and despite advances this remains a medium that can generally only deliver moderately good looking materials. From including printed QR codes which can take your future shopper direct to your website with a scan of a smartphone, through to printing on irresistible discounts on postcards, direct mail really is more flexible than ever before. Research has found that direct mail is no longer the dull junk mail marketing medium of old and today clever marketers are successfully harnessing this method for encouraging social media activity, downloads, online purchases and audience/business rapport. In comparison to email direct marketing provides all the space that you need to tell your story, whatever it may be. Email users are in a rush. They may be checking their emails whilst commuting, or squeezing it in at lunch or before dinner. They don’t have time for emotions. However direct mail can provide readers with both space and time to read the materials in their own time and so you’re far freer with what can be expressed.